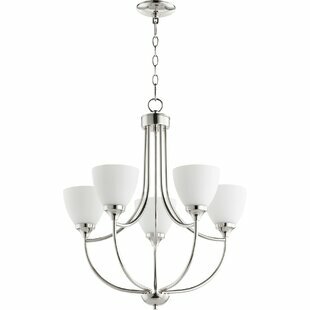 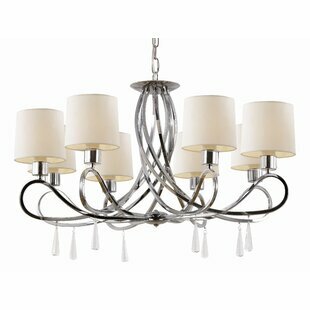 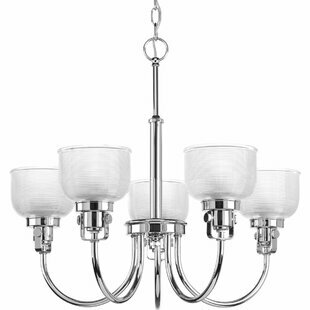 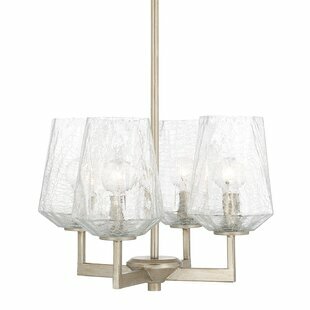 This 6-Light Shaded Chandelier has unique thin tubular arms which spread out to hold clear cylindrical glassware. 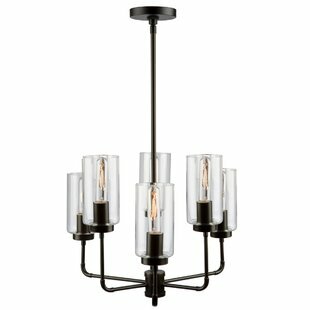 A rich oil rubbed bronze finish has been used on the frame to compliment its unique eye catching design. 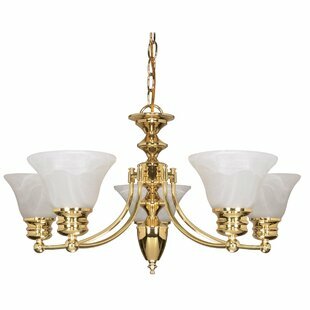 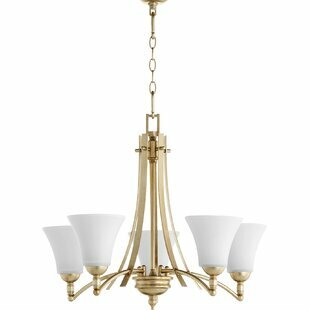 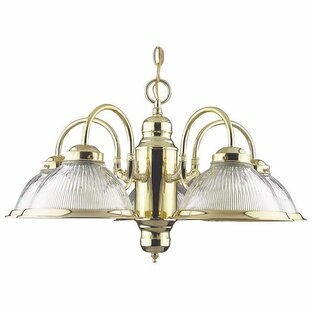 Number of Lights: 6 Fixture Design: Shaded Chandelier Overall Height (Hanging): 57 Fixture: 15 H x 21 W x 21 D Overall Weight: 2lb.